God is doing AWESOME things in the earth. He wants to do greater things through you. Your bold confidence in God makes the enemy nervous. You have the mind of Christ….if you are born again, and are renewing your mind. God wants to fill you with divine wisdom and revelation. God is giving you wisdom to take uncharted territory. What are you afraid of? Your marriage falling apart? Your children straying? Are you afraid of accidents, being alone, death, failure, financial issues, the future, old age, sickness, to doing something new? Are you afraid your business will fail or you won’t have insurance after the next election? Perhaps you worry that you will never find that perfect mate. Or maybe you are afraid you have messed up too much and that God doesn’t love you, that He won’t forgive you, and that God finds you unacceptable to Him. Wow….to be human is to be vulnerable, with all its feelings and emotions and times of weariness due to struggles in life. Satan plays negative tapes, and plays on these areas of weakness, accusing us day and night. He is relentless in his evil plots to destroy lives. God goes to extreme measures to make Himself known to us. Satan goes to great lengths to deceive all mankind. Satan comes at a young age to cripple you so that you never step into your full destiny with God. Satan wants your thinking messed up so you have wrong perception and rejection issues. He wants you to have a root of bitterness in your heart so that every little thing sends you off the charts, firing off at the mouth, and spewing things you later regret. When you have an unhealed heart and don’t know your worth and value in the sight of God, you may roll your eyes and assume wrong things about people that God has sent to help you, steer you back on track, or to totally bless you beyond your wildest imagination and dreams. The enemy of your soul wants you to live offended and to miss God’s best. Choose today…to step into greater destiny by allowing God to heal your heart and to rule and reign where you have not allowed Him to be LORD. It may be your mouth, your emotions, or it may be your character….God wants you to be the same person…from home….in the car….to the office…to the church. God wants you to be in health and to prosper. He wants you to live the abundant life through His Son Jesus Christ. He wants to connect you in divine alignment for divine assignments with other people. 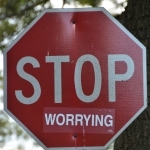 It’s time to STOP worrying, stop believing the lies of Satan, and stop listening to his lies in the first place. In this life, we are all engaged in spiritual warfare. No matter if you believe it or not, there is a war going on around us all…between good and evil. We must accept the clear evidence of God’s love for us, remembering always that the battle belongs to the LORD. Return to me, says the LORD of hosts, and I will return to you, says the LORD of hosts. (Zechariah 1:3). Then those who revered the LORD spoke with one another. The LORD took note and listened, and a book of remembrance was written before him of those who revered the LORD and thought on his name. They shall be mine, says the LORD of hosts, my special possession on the day when I act, and I will spare them as parents spare their children who serve them. (Malachi 3:16-17 NRSV). Don’t live through your emotions…live by faith. Don’t allow fear to stop you…..press through…and partner with God so He can reveal divine connections, divine alignment, and divine assignments for your future……YOU CAN DO IT! Books by Deborah Starczewski available on-line on Amazon, Barnes & Noble, Xulon.com, etc. Learning how to deactivate the bombs from the enemy that are sent from hell to destroy your marriage, family, and entire lives is found in knowing how to activate the Word of God in your life and by choosing to be the bigger person. Take the time today to be armed against enemy assaults before they come. You may already be in the middle of what feels like a war, or you may know someone. God’s Priceless Treasure is filled with real life stories with names changed to protect identities, but that will empower you to stand for your marriage, your family, and with your friends in faith! Learn how to fight the enemy and not your spouse. Real wars are won in the heavenly realm by learning how to fight by using the Word of God. Take a stand today. 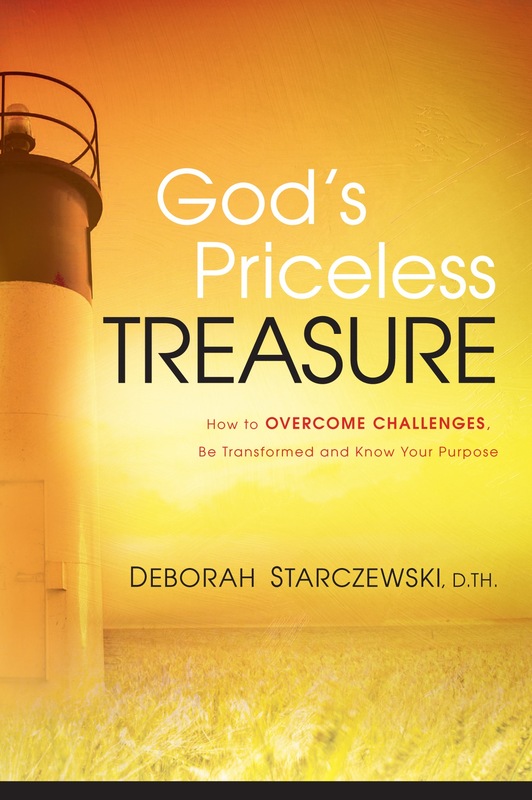 God’s Price Treasure (How To Overcome Challenges, Be Transformed and Know Your Purpose) is available on Amazon, Barnes & Noble, etc. May the LORD richly bless your marriage and teach you to move from surviving to thriving. Take the time today by building confidence in your spouse. Find something he or she has done right—and begin to brag about it to them. Tell them what a great decision they’ve made in some area and build confidence in them again. The enemy of your soul wants you to feel all alone in your marriage, or he will move you to questioning and reasoning and beginning to doubt. He tries to set us all up to fail. Instead of failing, learn to fight the good fight of faith and pray. Many times people hear things wrong and jump to conclusions that can set off an explosion in the home. Rather than being used by the enemy to help Satan destroy your home, turn to the Lord and learn how to fight using the Word of God. God’s Word works when you pray it!